The story that I’ve written in the first two parts of this article reflects the last moments of the life of Mao Zedong, or the “great Chairman,” as he is commonly venerated as. 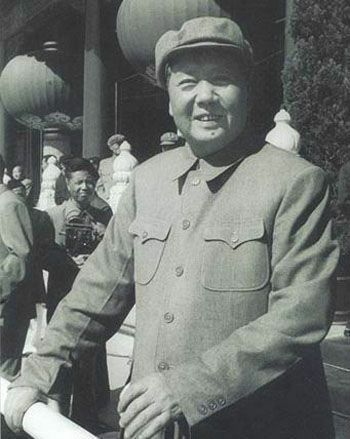 True to the words of the doctor in the story, Jiang Qing (1914 – 1991) reportedly showed minimal signs of grief in the days that followed after Mao’s death. Instead, she was more interested and focused in consolidating power and grasp over the Chinese Communist Party and the Chinese government as a whole. Alongside her close associates, Zhang Chunqiao (张春桥, Zhāng Chūnqiáo) (1917 – 2005), Yao Wenyuan (姚文元, Yáo Wényuán) (1931 – 2005) and Wang Hongwen (王洪文, Wáng Hóngwén) (1935 – 1992), she played a major role in the execution of the Cultural Revolution that swept throughout China. In desperate attempts to usurp power after Mao’s death, the four of them, collectively and popularly known as the Gang of Four (四人帮, Sìrén bāng), were arrested on October 6, 1976, nearly a month after Mao’s death. Thus, the efforts of the Gang of Four were stopped, and they were subsequently charged for usurping state power and persecuting many people to death during the Cultural Revolution. 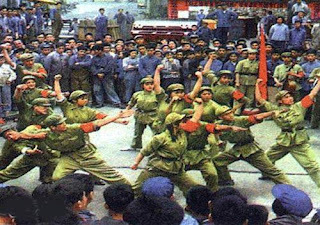 Having said so much about the Cultural Revolution without giving much explanation about it, some of you may now be wondering what exactly this is. With that, let us now look into the Cultural Revolution itself. The Great Proletariat Cultural Revolution (无产阶级文化大革命, Wúchǎnjiējí Wénhuà Dàgémìng), or simply known as the Cultural Revolution (文化大革命, Wénhuà Dàgémìng), was a massive movement that swept through the People’s Republic of China under the leadership of Mao Zedong. Beginning with Mao’s official declaration in 1966, the revolution was aimed at eradicating all traces of capitalism and replacing it with socialism. In order to achieve this aim, many methods were employed, most of which were even violent and oppressive. 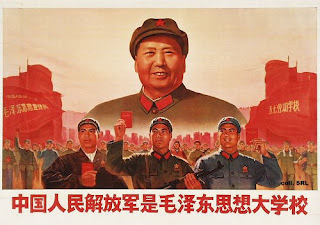 A propaganda poster featuring Mao Zedong, produced during the Cultural Revolution to promote Maoist thought. The Chinese slogan in the poster literally means "The People's Liberation Army of China is the main school of Mao Zedong's thought"
For the benefit of those of you who are not very familiar with economic terms, let me explain to you. Capitalism is essentially an economic system whereby means of production are privately-owned and are driven by the free market for a private profit. Socialism, on the other hand, is the opposite of capitalism, whereby means of production are publicly-owned and are sometimes regulated by the state. In the case of the Cultural Revolution, the Communist government advocated the establishment of a socialist economic system controlled and owned by the working class (proletariat) rather than the wealthy or capitalist class (bourgeois). Capitalism was thought by the Communist government to be a remnant of the feudal system practiced in imperial China and as such, was thought to be incompatible and oppressive to the common people. Socialism, on the other hand, was viewed to be more favourable, since it advocates the redistribution of wealth in society and promotes equality of class. As a result, the Cultural Revolution was thought to be a necessary step by the Chinese Communist Party to fully eradicate capitalism and promote socialism so as to produce an equal society for all. Nonetheless, methods employed to achieve this aim were utterly ruthless and oppressive, as it caused more harm than good to the people. 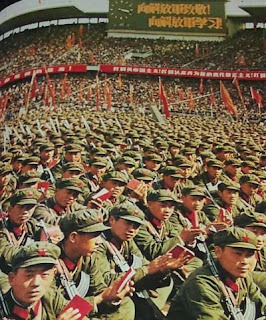 In order to execute the Cultural Revolution among the common people, Mao organized a mass movement comprising mainly students and youngsters, which then came to be known as Red Guards (红卫兵, Hóng wèibīng). 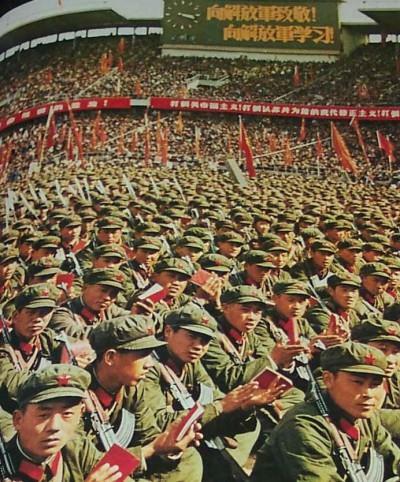 The Red Guards, who staunchly upheld Mao’s principles of socialism, went throughout the whole of China and forced these principles upon everyone whom they met. 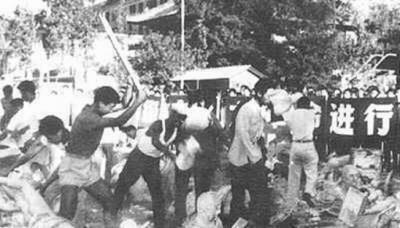 Resistance on the part of the common people was often met with violence and merciless treatment from the Red Guards, some even resulting in brutal deaths. The Red Guards often took commands from Mao himself, as well as from the Gang of Four, who played major roles in overseeing and executing strategies for the Cultural Revolution. Doubtless to say, the Cultural Revolution covered a very vast scope of reforms in the political, economic and social spheres of China. In this article, however, I only intend to give an overview of the socio-cultural and socio-religious aspects of the Cultural Revolution. As part of the Cultural Revolution, Mao promoted the Destruction of the Four Olds (破四旧, Pò Sìjiù), which primarily involved efforts to totally eliminate the Four Olds, namely Old Customs (旧风俗, Jiù Fēngsú), Old Culture (旧文化, Jiù Wénhuà), Old Habits (旧习惯, Jiù Xíguàn) and Old Ideas (旧思想, Jiù Sīxiǎng). The Four Olds were thought to be either influences from China’s imperial era or foreign colonial powers and, as such, were blamed to promote feudalism and capitalism in Chinese society. 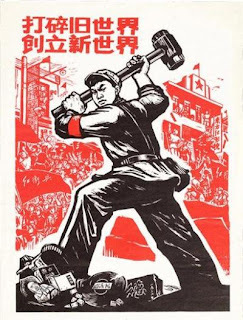 In carrying out the Destruction of the Four Olds, the Red Guards commonly shouted propagandistic slogans such as “Destroy the Four Olds, Establish the Four News!” (“破四旧，立四新”, Pò Sìjiù, Lì Sìxīn) and “Destroy the Old World, Forge the New World!” (“打碎旧世界，创立新世界”, Dǎsuì Jiùshìjiè, Chuànglì Xīnshìjiè) wherever they went. A propaganda poster promoting the Destruction of the Four Olds campaign. Written in the poster is "Destroy the Old World, Forge the New World!" The Destruction of the Four Olds campaign involved getting rid of anything deemed to be inherited from the past, since such things were perceived as personifying and potentially promoting elements of feudalism and capitalism. Besides, it also involved destruction of all things seen as foreign in origin. 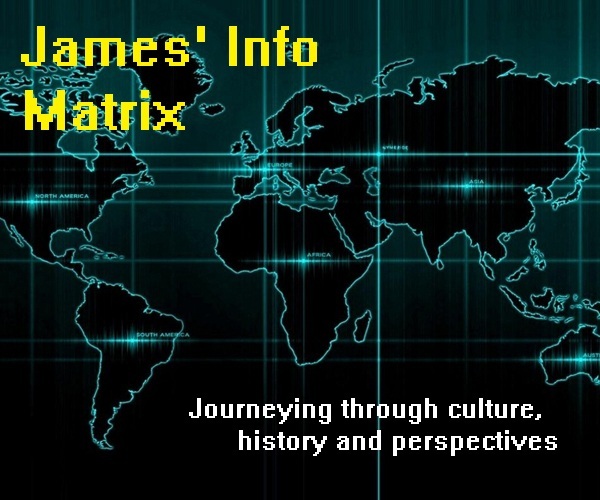 Indeed, the aim of the campaign was to virtually eliminate all traces of China’s past and foreign influences of any sort, ranging from traditional Chinese literary works and artifacts to places of worship and holy scriptures. This was to ensure that nothing was left to remind the people of feudalistic or capitalistic elements so that an entirely socialist society could be shaped within China. 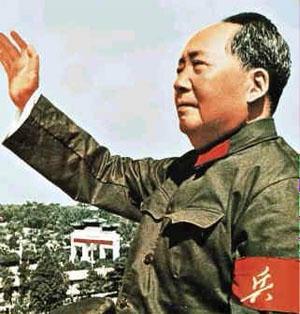 Many people, especially the Red Guards, also changed their given names to reflect Mao Zedong’s revolutionary ideas and movements. Names that gained much popularity during the era of the Cultural Revolution include Weidong (卫东, Wèidōng), which means “Defend Mao Zedong,” and Jige (继革, Jìgé), which means “Continuing the Revolution.” In fact, parents who gave birth during this era also preferred such names when naming their children. It was also not uncommon to see zealous Red Guards marching through the city streets, setting up booths by the roadside and acting as self-declared “moral police,” in which they base their actions and justifications on self-imposed laws of moral conduct. In their eyes, high-heeled shoes, dresses, skirts and jeans were considered to be clothing worn by the capitalist classes and as such, were banned under these self-imposed laws. Anyone caught wearing them would be stopped by the Red Guards and forced to surrender their clothing to them for immediate destruction, refusal of which would result in forceful stripping of such clothing in public. Even women with long braids were not spared, as long braids were seen as remnants of feudalism. Such women, upon being caught, were forced to have their hair cut short, as short hair was perceived by the Red Guards to symbolize women’s independence. Indeed, women were not allowed to dress as women, simply because feminine dresses were considered to be clothing for the capitalist classes. Instead, women were expected to dress in soldier-like uniforms that reflected more closely the working classes. In the name of revolution, the Red Guards often intruded upon home privacy. They frequently forced their way into homes and rummaged through the entire house in search of anything deemed to be remnants of the past or foreign. Diaries, vases, pieces of art, works of classical literature, family genealogy books, traditional Chinese clothing, Western suits and even family photos were common items that were searched for and destroyed on the spot. Foreign currency, precious stones and gold were also confiscated to be handed over to the government, while books in foreign languages, including English, were burned. As if that was not enough, family members were often punished mercilessly for the “crimes” of possessing such items and reading books in foreign languages including English. During the Cultural Revolution, history and cultural heritage bore no value whatsoever in the eyes of Chairman Mao, the Gang of Four and the Red Guard revolutionists. Historical icons and structures throughout China were heartlessly destroyed. Temples, ancient buildings and historical sites were targeted as objects of demolition. Moreover, museums nationwide were turned upside down, with numerous artworks, classical writings and antiques crushed to pieces. It was said that approximately 4922 out of 6843 officially designated historical sites in Beijing alone suffered damage in one form or another during the Cultural Revolution. Even China’s biggest pride, the Great Wall of China (万里长城, Wànlĭ Chángchéng), did not escape the revolutionists’ radar. Parts of the Great Wall were reportedly vandalized, with bricks being hauled out and used as building materials for roads and houses. Fortunately, however, the revolutionists did not concentrate much of their energy in annihilating the prized Chinese heritage and thus, it stands till today. Another structure that was apparently targeted by the Red Guards but fortunately survived their onslaught was the Forbidden Palace (紫禁城, Zĭjìnchéng) in Beijing. 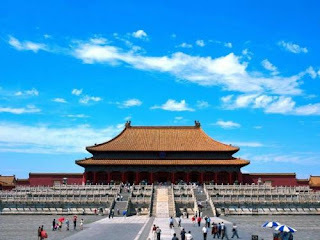 Thanks to the efforts of Zhou Enlai (周恩来, Zhōu Ēnlái) (1898 – 1976), the first Premier of the People’s Republic of China who was downright against the revolution but did not have much power to act against Chairman Mao’s orders, the Forbidden Palace was protected from ruthless assaults by the Red Guards. Upon hearing that the Red Guards were targeting the Forbidden Palace next, Premier Zhou ordered the gates of the palace to be shut and troops to be posted to defend the iconic structure. 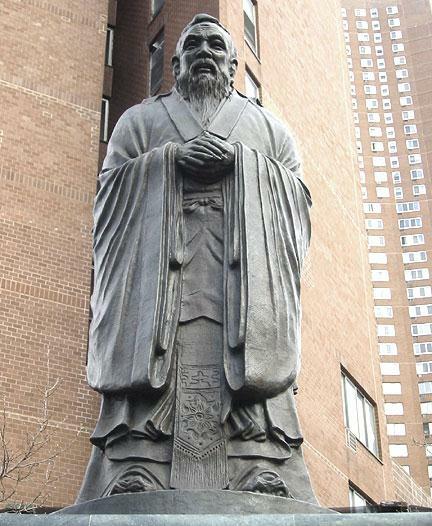 In the hearts of many Chinese, Confucius (孔夫子, Kŏng Fūzĭ) (551 – 479 BC) is revered as one of the most learned sages of all time. Even up to today, his philosophies and teachings are held with high regard and play major roles in shaping Chinese thought and values. Nonetheless, during the Cultural Revolution, he was stripped of such honour by the radical revolutionists under Mao Zedong and was downgraded to the lowly status of a murderer and hypocrite. His teachings were considered to be backward-looking and were thus labeled as poison and lies through propaganda. In their fanatical efforts to purge Confucian thought from Chinese society under the Destruction of the Four Olds campaign, the Red Guards even went to the extent of invading Confucius’ hometown of Qufu (曲阜, Qŭfù), destroying ancient statues and structures that were erected in his honour, defiling the tombs of Confucius and his descendants, and burning Confucian writings. Indeed, in the name of revolution for eradicating capitalism and feudalism, and establishing socialism, Mao Zedong and the Red Guards were eagerly willing to sacrifice the very heart of Chinese pride – its culture and heritage. Without even sparing much thought for the tireless efforts of bygone generations in preserving valuable elements of Chinese culture, they did all they could to entirely wipe out the Chinese identity. Nonetheless, as you will see if you proceed to the next part of this article, it was not only Chinese culture that suffered in the hands of Chairman Mao, the Gang of Four and the Red Guards, but also all religions with significant presences throughout China. What is your name? I love your article and want to cite it.